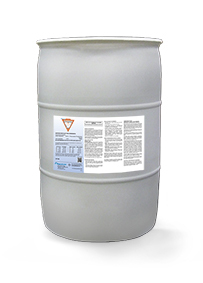 Sixteen90TM is an economical long-term soil surfactant that gives you guaranteed safe protection against water repellency problems and promotes turf uniformity for 90 days. It outperforms the competition in providing more consistent management of water repellency and will not “break” under climatic stress or drought conditions like traditional long-term products. Sixteen90 gives you better season-long control than competing products. 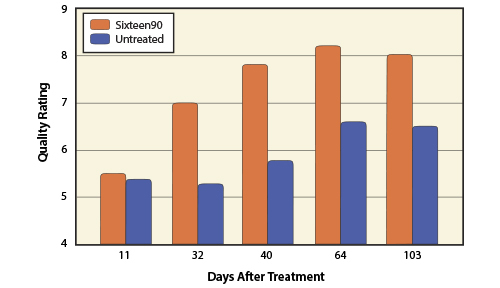 Research conducted in Garden City, Kansas shows that Sixteen90 provided the greatest reduction in water repellency and performed more consistently than competitive products throughout the four-month test period. Sixteen90 not only gives you long-term control over water repellency, but it also improves and maintains turf quality as well. 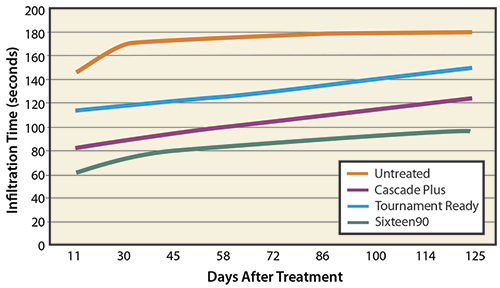 A study conducted at the University of Florida – Ft. Lauderdale shows that Sixteen90 improved and maintained optimal Bermudagrass quality over the duration of the trial period.